IHOP brings back Pumpkin Spice Pancakes and Cinn-A-Stacks Pancakes as part of their limited-time 2018 fall menu. 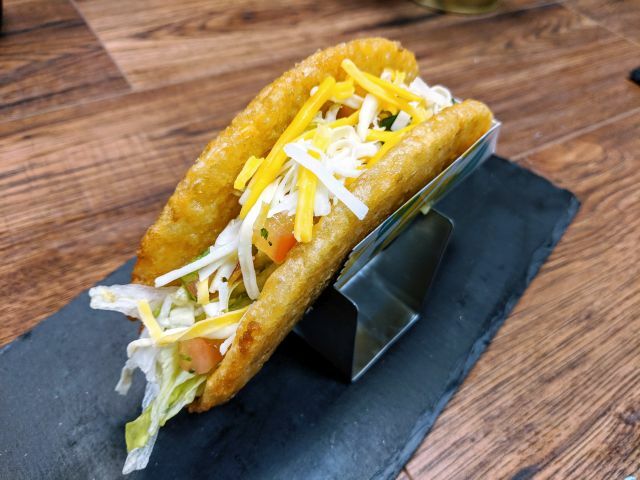 They've also combined the two in new Pumpkin Cinn-A-Stacks Pancakes. 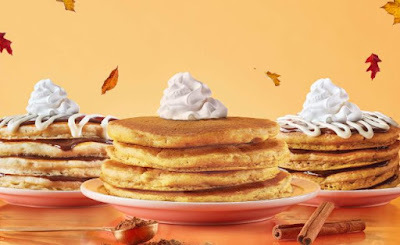 IHOP's Pumpkin Spice Pancakes feature pumpkin and seasonal spices, while Cinn-A-Stacks are buttermilk pancakes layered with cinnamon roll filling and cream cheese icing. Pumpkin Cinn-A-Stacks Pancakes are essentially Cinn-A-Stacks Pancakes with Pumpkin Spice Pancakes instead of buttermilk ones. Prices for the fall pancakes start at $4.99 for a stack (may vary). The chain also offers two warm, seasonal beverages this fall: Pumpkin Spice Coffee and French Toast Hot Chocolate. The fall pancake line up is available through October 28, 2018.